The famous PAGY awards are bestowed annually to the Puzzle App Games of the Year. Below is the famous List of Best Puzzle Apps of 2014. I have play tested all of these extensively. My biggest regret is that I am sure that I've omitted many good games. I try to go through the new puzzle apps published weekly. People send me recommendations. I don't get to them all. What are the qualifies of a good puzzle app game? Fun is most important. Originality is a close second. Graphics and overall presentation are third. Finally, and most obviously, is the difficulty: is there a tutorial? Are there easy levels to get your feet wet? Does the game have 100 levels or a 1000? Less is more sometimes. Some of the games listed below are not strictly puzzles, but they often get lumped into that category by the authorities at the iTunes store. Specifically, I'm referring to the point scoring games and the games that test your reflexes. You'll find both types of those here, but not a lot. If you scrutinize this list very closely, a couple were published in 2012 and 2013. The reason I included it now - I missed those games back then. If I missed your game this year, send me a reminder! You're eligible for 2015. 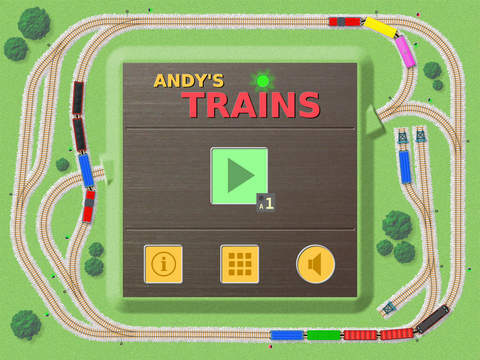 Andreas Gunther recently contacted me about his new puzzle app game: Andy's Trains. Essentially it's an old fashioned 'shunting' puzzle. Basically, your objective is to move the trains forward and back on the track, dismantle, reconnect and eventually unload the cars in the correct color sequence. Years ago, I saw an old film made by Thomas Edison where the objective was to shunt the trains. As I recall, it was a little kid who figured it out. I tried finding it on youtube. No luck. However, Edison did make a slew of train movies. Andy's got something like 36 different puzzle levels. You can see from the images, some are easy, others are quite complicated. Let's talk about Tip & Tumble, their latest puzzle app game. There are 90 puzzles. The objectives are sometimes different. In the first image, get the balls to the correct homes. The second image: collect all the markers. Be careful that you don't fall into an inescapable loop. The third image: get the red balls into the hole. I've solved all 30 easy levels. 28 of the 30 medium levels and about 15 of the hard levels. According to Bill: 'Even Andrea, despite being her own designs, struggled to remember some!' I feel better now. 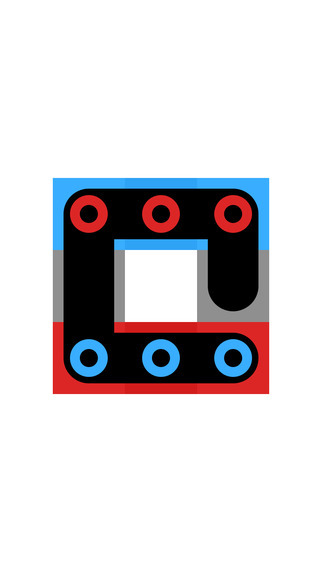 Without a doubt, Tip & Tumble jump onto the list of Best Puzzle Apps of 2104. The full list will be released December 30 & 31. Stay tuned. 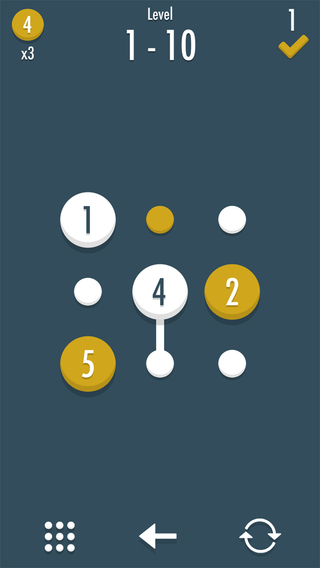 Alex Blaj recently sent me a promo code to review his new puzzle app game: Dwelp. 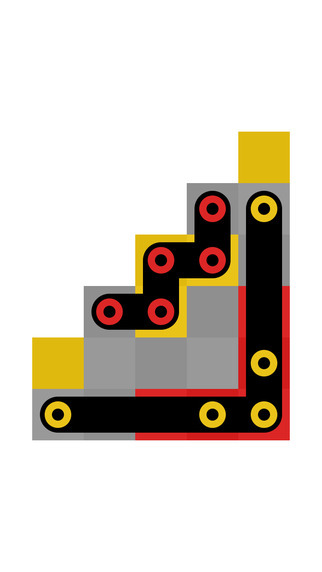 His description: Dwelp is an elegant little puzzler with a brand new game mechanic. To complete a puzzle, just link all of the same-colored dots by placing them one near another. There's a catch, though... Once you have connected two dots, the others of the same color become locked in their place. It's so simple to understand, yet it opens up a whole world of possibilities! Why "only" 100 puzzles, then? Because they were carefully selected from hundreds of others, in order to offer you only the best of the best. My thoughts: 100 puzzles is exactly the right number. Offering 200 is too many. The puzzles start to get quite tricky at #20. The graphics are crisp. The concept is very unique, clever and fun. In terms of classification, Dwelp seems to fall under the category of a packing puzzle. At the moment, I have solved about 70 levels and collected 60 stars, (you get a star by solving a level in the fewest moves.) There are some bonus levels where the objective is a bit different. But very elegant. Here's what you need to know: these puzzles are handmade/crafted with the equivalence of a fine wooden box. 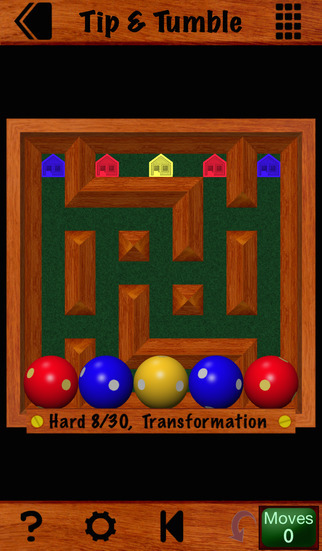 One level has a minimum solution of just 4 moves. How hard could it be? HARD! Puzzle app fans, I've been away for a week. Thanks for the emails. I'm back. Sometimes I feel guilty. I start playing a new puzzle app game, then get distracted by other new ones and forget to finish play testing and then blogging. Fold The Adventure has a very unique design. Look at the first image. Your task is to cut some of the lines and fold other lines to create something like image 2. Then, your man, Nezo, can climb up the step ladder configuration to collect the stars and head for the exit. The graphics are very nice. There are 40 levels and I started to get stuck at just level 7. At the moment I'm stuck on level 19. Tomáš Rychnovský recently contacted me about his puzzle app game: Fruit Dating. It's a tilt/swipe maze. The object is to get the two red fruits next to each other. When that happens, they disappear. 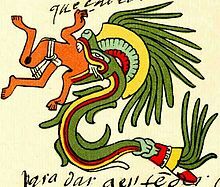 Then do the same for the yellow faced fruit. There's good and bad. Let's start with the negatives. I don't like the graphics. The border is not necessary. The green squares are stationary. What moves during tilts? Cars, barrels and other things, sometimes unidentifiable, at least by me. Other levels have puddles - cars can go over them, but not fruit, of course. The final levels have a hedgehog - don't crash into it. There are 63 levels and I've done them all. All together, I spent about 1 hour on this. There are 180 levels and I've spent a lot of time on these. Probably 5 or 6 hours to solve about 145 levels. They can be very challenging. $1.99 is the price and that comes to about 25 cents per hour. Long time followers of this puzzle app blog know that I give a prize to every 100,000th visitor. If you're the 600,000th visitor, take a screen shot, send me an email with your address and I'll send you a small prize. If you're using a tablet, the hit counter might not show up. Use a regular computer. I do not own the Lock Sphere. I'm not a big fan of puzzle boxes. In part because there's been a slew of ingenious box mechanisms and it's impossible to keep abreast of all the developments. That being said, I do own about 20 secret boxes. Lock Sphere reminds me a bit of Isis, the steel ball puzzle from England about 6 years ago. 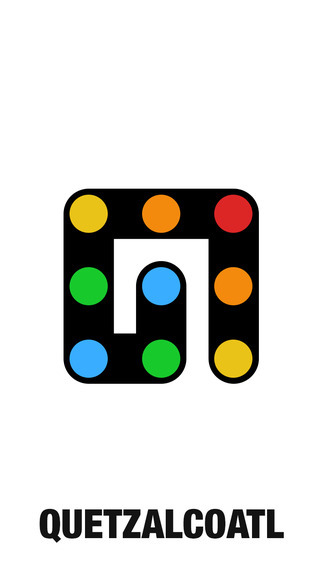 Multiple people have recently contacted me about Noda, a free puzzle app game. Look at the first image. In the top left corner is a yellow 4 times 3. This means that the object is to create three 4's on the yellow circles. See the yellow 5? Swipe that up or to the right, and it will divide into 3 & 2. Other rules: you can't add above 9. A single 1 cannot move to a vacant circle. See the 4 & 2 in the first image? If you swipe from the 4 to the right, you'll get 6 on the yellow circle. There are 48 free levels. I've solved them all - pretty quickly. However, I have not solved them all using the least number of moves. You get a star if you solve a level with the least # of moves. The leaderboard will only record your score based on your stars. At the moment, I have 36 stars. There are another 72 levels and they cost $.99. Noda has a serious number of players, based on the leaderboard, so it's quite popular. Because it's fun, easy to learn with good graphics. Update 12/15: I have now solved all the free levels & have 48 stars. 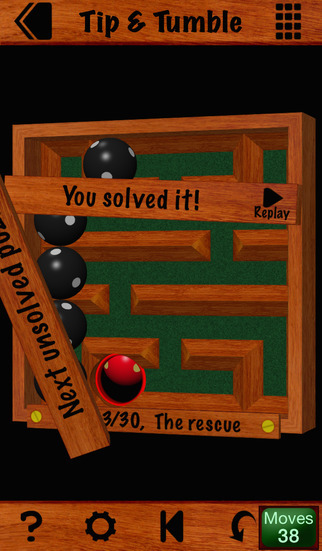 Nili Abrahamsson recently contacted me about his puzzle app game Tealday. It's a color mixing puzzle. Look at the second image. The object is drag some red paint, some blue paint and some yellow paint onto the big circles so that the Big Circles will match the Target Color. I solved the first 3 puzzles. I think this is particularly difficult for me because I can't even name these colors. Aqua-Marine? Teal? Greenish-Gray? See the numbers in the little circles? They indicate how many times you can paint the big circles. Look at the very bottom of the second image. See the tiny question mark? Tap on that and it will tell you which of the Big Circles have already matched the Target Color. 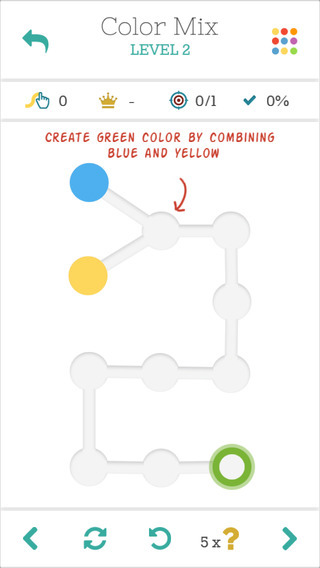 One of my students recently told me about One More Line: a game that's cool, difficult, colorful and somewhat addictive. The game starts with your man (the rainbow line) traveling straight ahead. You must avoid the objects by circling around them and then release at the right tangent point and not crash into a wall or object. One More Line is quite popular. But it needs to be improved. For example, it moves too fast. It should really start off slowly. The point scoring system is based on how long you survive. My high score is only 21, which I think represents only 10.5 seconds. Something silly: the one's look like 7's. One More Line is free and comes with ads. Give it a shot. And if you end up succeeding with a high score, let me know. Last week a colleague at work showed me Har*mo*ny 2 from BorderLeap. Since it cost $3.99, I downloaded Har*mo*ny instead, which is free. The object of the puzzle app game is to get your color squares to the correct row, to create some kind of rainbow effect. This can be done by swapping 2 squares at a time. However, the 2 squares must both be in the same row or column. 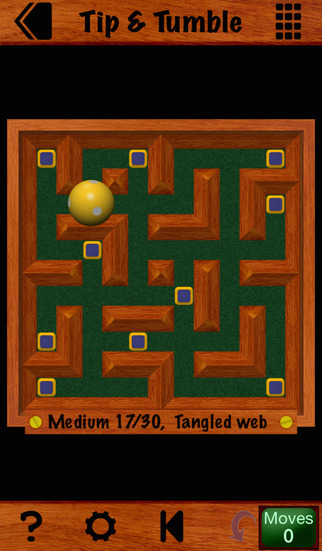 At the start of the game, each square will have some dots. The number of dots indicates how many times it can swap. Har*mo*ny has over 1000 levels. I've solved 84 of them so far. I'm not solving them all! Har*mo*ny 2 has only 'hundreds' of levels. But, as best as I can figure, it features cool music. About a year ago I reviewed BoarderLeap's other puzzle app Blendamaze. 12/10/14 Update: I've now solved 102 levels. This puts me around #5000 out of 15,000 on the leaderboard. Obviously, this is a popular game. Maciej Targoni is the author of oO - a very bizarre, cool dexterity game. Look at the first image. You are the tiny white circle going around and around. Transfer to the next circle at the tangent point by tapping the screen. Then to the big circle. When you get to the big circle, avoid the spikes by shifting to the outside of the circle. Again, just tap the screen. I solved the first level - after dying some 90 times. The second level is even cooler. The circles are psychedelic, wobbly, and Dali-esque. See the second image. I have not completed the second level, though I've died over 200 times. Why? Because the game doesn't save your progress. I did start the 3rd level. Imagine the inside of one of the circles being completely filled with spikes. (Sorry, I don't have an image for that.) Those spikes will fade on off for about 3 seconds. So you must time your transferring. oO costs $1.99 on the App Store and $1.97 on Google Play. Not sure if this happens all the time. If it does, then maybe we should all switch to Google Play so we can save 2 cents for all of these games. The game came out in April, but I just found out about it recently via Apps Gone Free. oO was free for a days. Nice job Maciej. Do you have an idea for a puzzle game or something else? do you have an idea for a puzzle app game? How about an idea for something non puzzle related? If so, allow me to steer you to some excellent programmers. I've known them for a long time. Their work is stellar. They're easy to work with. Who knows, you might get rich! 1. I've been playing Number Painting a lot recently. There are 500 levels and a few levels had me stuck for too long. No advertisements and it's free. The bad thing is that the game doesn't allow me to go back and redo levels I've already solved. On the ones that I found particularly hard, I took screen shots of the solutions. 2. 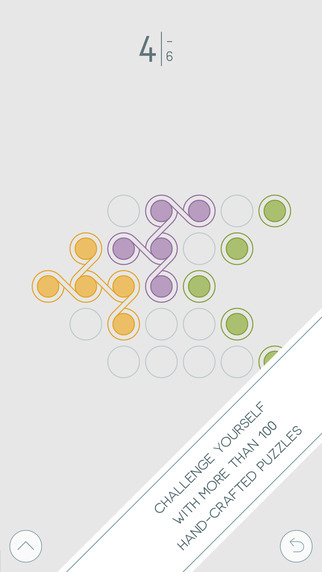 Twelve - Hardest Puzzle really is a good point scoring game. However, it takes too long to play a single game - about an hour. Also, the board doesn't really get crowded until you get your first 11. Which means that the first 15 - 20 minutes is mere busyness. Nevertheless, my high score puts me in the top 20 out of 36,000. I think I'm done with it. 3. Threes! - I promised myself not to play this. I got a new high score of 71,000. But not on my ipad. 5. Do visit my friend Nicola's site: http://nontrivialgames.blogspot.it/ His site is similar to mine. But his focus is on the very very good stuff. 6. The List of Best Puzzle Apps of 2014 will be published on December 30th & 31st. Feel free to nominate your favorite puzzle apps and send them to me via email. Use my rule of 3: Is it fun? Do you play it a lot? Is it unique/clever? 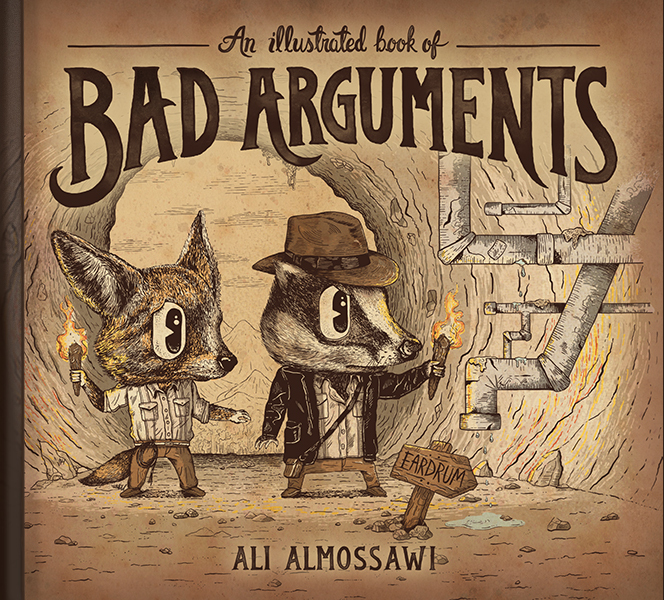 Book of Bad Arguments: free! Wow, this book is short, well illustrated and well written. Good for anybody involved in debate. Years ago, it was a 'proven fact' that there could be no twisty cube made with sides greater than 5x5. Fortunately, Mr. Verdes from Greece never saw that proof and he designed the 6x6, 7x7, 8x8, 9x9 and 10x10. 3 years ago Oskar van Deventer designed the 17x17 cube, which he premiered at the annual New York Puzzle Party. I played Watercolors months ago. Why has it taken me so long to post a review? I simply forgot. The object is to drag your blue paint source to the open circle blue target. Do the same for other colors. You will have to mix. Seems kind of easy. But there are some very interesting problems here. You will have to mix red & blue to get purple, then knock it out with yellow. Got that? Watercolors has some very interesting color topology problems that seem impossible, but are doable - if you knock secondary colors out. There are 45 levels with 2 colors. I've solved them all. But rarely within the fewest number of moves. 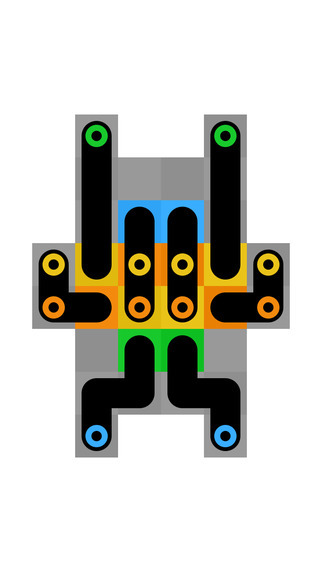 There are 45 levels with 3 colors. I've solved 42 of them. Again, using lots of extra moves. There is a 'Grid Pack' with another 45 levels. I've done 20 of them. Beyond that, there are several more packs with very challenging levels. I have not unlocked those because I'm not done with the 3 Colors pack. Tadaki Tokairin has made another version of 2048. However, his rules are a bit different. In one version, only 1's will replace the empty squares. In another version, it's 1's & 2's that fill the empty squares. What's different? The matching numbers will move across in 2 steps, as opposed to 1 step. This is nice to see for those people who were a little lost in 2048. However, the movements are too slow for me. I'm already making the next swipe. I don't think I can look at another 2048 version.